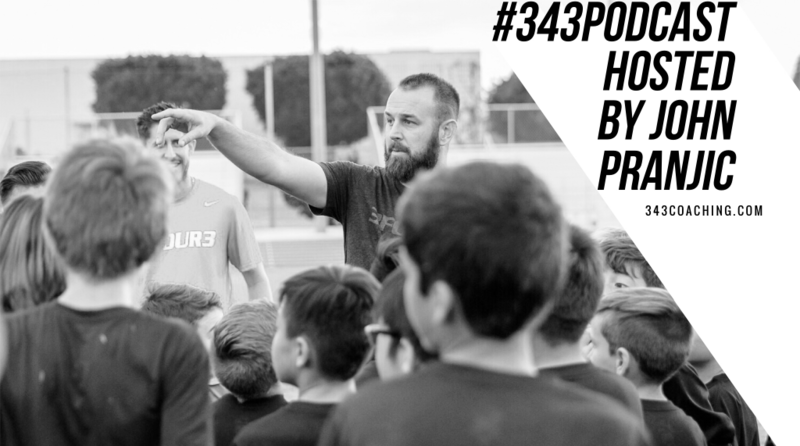 Chandra Eigenberger Comes Back on the Show to Discuss the Lack of Opportunities for Women to Play Professional Soccer in America – the Numbers Are Shocking. 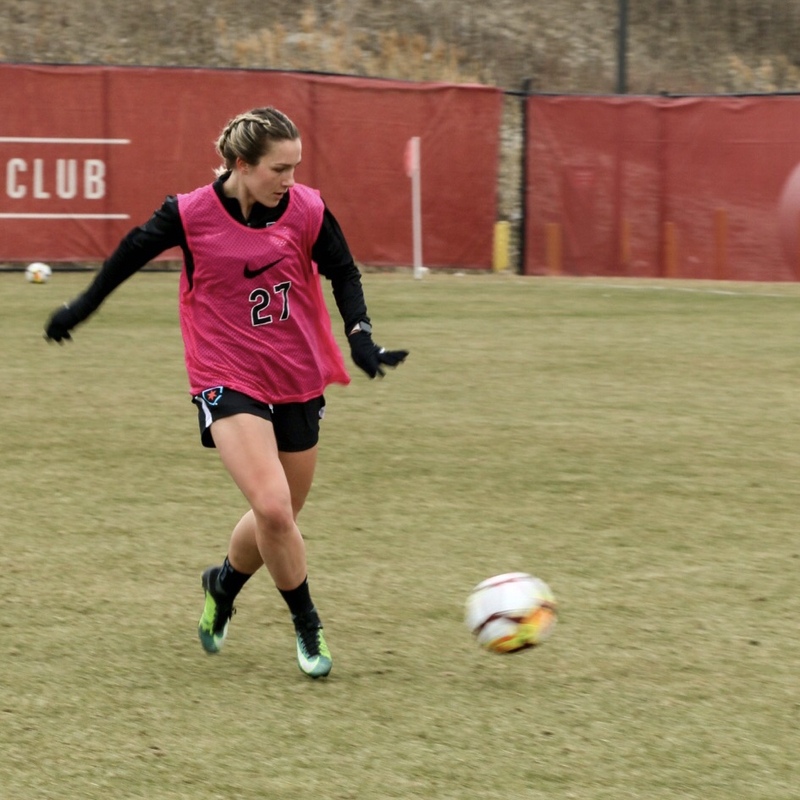 When I first interviewed Chandra Eigenberger in 2017, she was training on her own, playing pick up soccer with a group of guys on a weekly basis, and trying to find a team to call home. When I caught up with her in the first part of 2018 – things had changed. 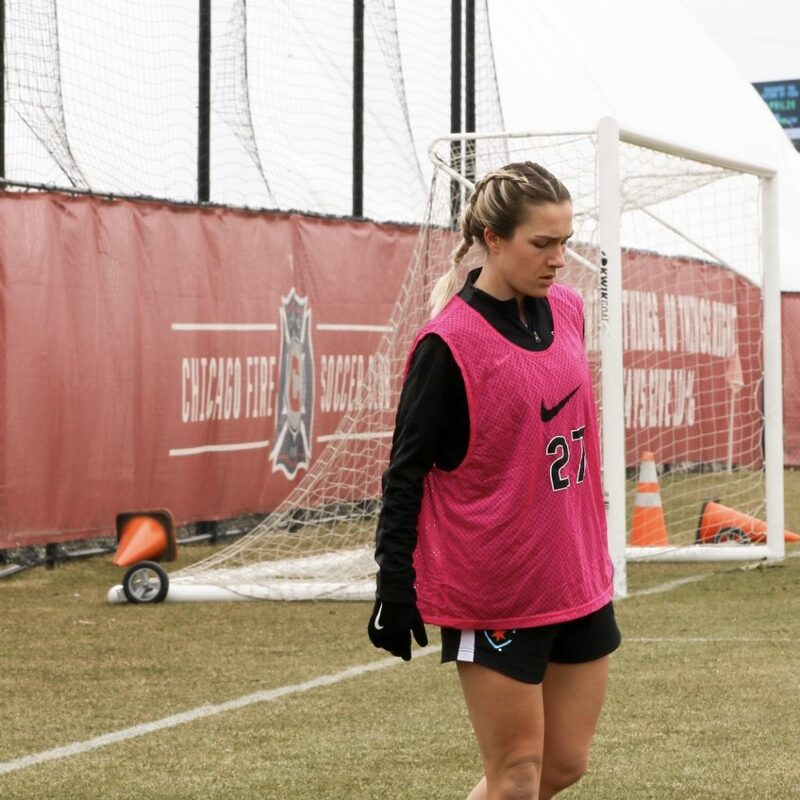 Now she’s training with and fighting for a spot on the roster with NWSL’s Chicago Red Stars. Her updates and stories are good for every American player, American coach, and American soccer fan to hear. Once again, Chandra walks listeners through what it’s like to be a professional women’s soccer player in the United States. Not only is she fighting to earn a spot on the Red Star’s roster – she is fighting to earn a paycheck. At the moment, her role as a training player doesn’t come with anything except a chance to maybe get paid in the future. Chandra has a lot to say, though. Specifically, about the lack of opportunities for female players after college. There are a little over 1,000 women’s NCAA soccer programs spanning Divisions 1 through 3. After those athletes graduate college – which is the traditional route that most female American soccer players take – there are nine professional American women’s soccer teams available for them to attempt to play at. The United States has an estimated female population of 165 million – with roughly 20,000 female athletes playing on over 1,000 NCAA rosters – and only nine professional teams. That means there are only about 180 paid contracts available in Women’s soccer here in America. To add more to this equation – not all of those 180 NWSL contracts are guaranteed to go to American players. So, the number of female American players getting paid to play professional soccer in America is even more abysmal than you probably thought. In a nutshell, Chandra and I discuss how opportunities to play professional women’s soccer are scarce and why competition for those spots are so fierce. I sort of bum rushed Chandra when I interviewed her the first time. We spoke on the day after the USMNT got eliminated in qualifying for the 2018 World Cup. This episode was meant to be an update about where she’s at now but into a great discussion about a lot of things going on with women’s soccer here in America that doesn’t really get any airtime at all.